Interaction design (IXD) – design/strategy | Globonomics! I have always believed in IXD as a forefront of developing and building and selling products customers would love. I have been in the Product industry for long enough and used to recruit/closely work with a fairly large sized IXD and graphic design team in my previous company so understand the importance of this. 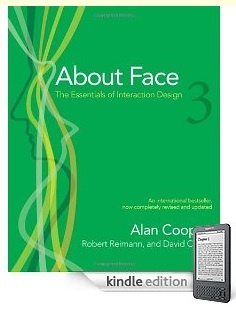 Cooper (http://www.cooper.com/about/books.html) is a major IXD company and I found references to some books by Alan Cooper from Marty Cagan’s book – Inspired so decided to give those a read. I must say, I have stacked up about 4-5 books to read up simultaneously – 2 on Agile and 2 on IXD and 1 of course, on my bread and butter, Product Management! Tall order with a hectic work/travel schedule but I have to renew my voracious appetite for reading books as I used to in 2008. 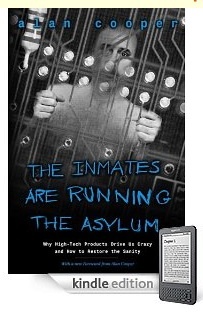 I have full belief that these books are extremely value adding and will post reviews once done. I again used the amazon 1-click to perfection to deliver these books wirelessly to my iPad amazon app and wow – it worked like a breeze! As talk of an impending economic downturn takes hold in the business world, executives can take thoughtful steps to help their companies better weather the storm. Consumers today are savvy and expect personalization, especially when viewing ads. Field Garthwaite, cofounder and CEO of IRIS.TV, discusses how machine learning can help marketers deliver more relevant and noninvasive video content. We surveyed nearly 5,000 consumers in China to discover how they buy fresh fruits, vegetables, and meats. Here’s what we learned. Energy companies struggling with customer churn can borrow lessons from retail and consumer goods to build loyalty and boost sales through personalization. New research by the McKinsey Global Institute shows how good digital ID is a new frontier in value creation for individuals and institutions around the world. An increasing number of governments and businesses are implementing digital identification programs. What makes a digital ID beneficial to both the user and the institution? Value-based care models are becoming increasingly important for health systems. Implemented well, they can improve system economics, enhance care quality and outcomes, and strengthen physician alignment. US farmers are under increasing economic pressure. A recent McKinsey survey explores how this will affect their spending on agricultural inputs. Worried about the effect of new digital entrants on your industry and markets? Reinvented incumbents may be an equal threat. Visited the Infosys campus at Electronics City - Bangalore!